Britain’s weather is getting blamed for causing power outages due to its unpredictability. Earlier this year, there were a series of power cuts in Thorpe Park. This left crowds of worried visitors stuck on rides. Although you would think this was the result of harsh weather conditions, it was in fact due to high levels of heat across the region. Around the same time, there were more than 15 reports of power cuts in 24 hours across Cambridgeshire, which were caused by lightning strikes in the area. While some businesses have prepared themselves to cope with such situations, the same can’t be said about others. 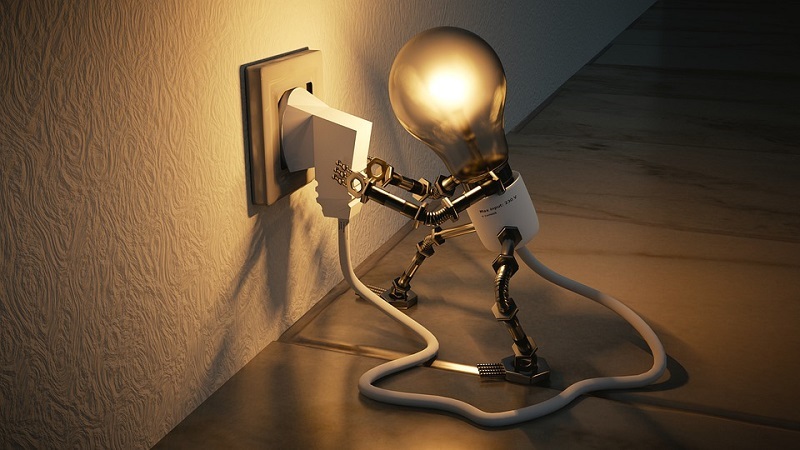 Power cuts aren’t only difficult to deal with when you’re at home, but in a work environment, this can cause lost productivity – can your business afford it? The UK is not a stranger to power cuts. You may be old enough to remember the miners’ strike in 1972, which caused major power issues – leading to a state of emergency being declared. A more recent power event that caused power outage to 40,000 properties was the result of Storm Frank in 2015. There are three types of common power cuts on our shores: Transient fault: lasting only a few seconds. This is a temporary fault, but power is automatically restored. Although the type of power cuts that can occur varies, it’s important to understand that between the years 2003 and 2012, weather was responsible for 80% – highlighting the importance of advanced preparation. Nationwide, businesses run off the power of energy – meaning that is it crucial to ensure operations remain consistent so productivity isn’t affected. Below, we take a look at how power cuts can actually harm a business. Both significant power cuts and slight delays have the potential to cause a loss of data. If this is the case, this could have a profound impact on any ongoing campaigns and prove difficult for you to meet deadlines on a range of projects and ultimately meet the requirements of a client. Imagine if all of your work is lost due to such circumstances – you might have to start your work from scratch. Usually, a blackout or brownout will last at least a day. This could potentially put a stop to all operations – and will definitely be a cost to you. As your staff are contracted to work (even though power cuts), you will still have to pay them. As well as this, if your business relies on communication by using the internet or phone lines – this could cost you sales. The cost of downtime suffered for a business can vary too. Some small businesses say that one hour of no power could cost £800, while Google lost their power in 2013 and this cost them £100,000 each minute. But, downtime could come down to several reasons. If your business does not have access to electricity for example, employees will not be able to communicate with customers. If you’re a business that operates as an ecommerce, you won’t be able to monitor online sales and respond to website queries. It’s understandable that each business runs differently, and this will affect their priorities. If your company relies on computers and data, you should look at installing an uninterrupted power supply (UPS) that will allow your devices to run off battery power in the event of a power cut. In the current world, it’s normal for businesses to rely on an internet connection. This means not having one could prove difficult. If you set up a MiFi – which can operate as a WiFi hotspot – your staff will be able to connect to an ad-hoc network which can help you operate when a power cut does strike. Be sure to create a plan for your team to follow in the event of a power cut. Do this by creating a team or committee that will determine the specific risks to your business — a small IT company will have different points to consider compared to a large factory — and then draw up a detailed process for mitigating these risks. This article was created by LPG gas tank suppliers, Flogas.